Keep up to date with the latest in responsible tourism, whether you're a business operator, developer, policy maker, entrepreneur or marketer. There are three days of talks focused on responsible tourism and sustainability practices at ITB Asia 2017's Responsible Tourism Hub from 25 to 27 October 2017. 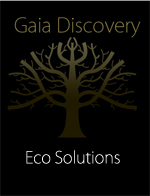 Gaia Discovery lists all talks, speakers and their synopses here for readers' convenience. Venue: Responsible Tourism Hub, Basement 2 of Marina Bay Sands Singapore. Eric Ricaurte, CEO & Founder, Greenview will be presenting the 2017 results and findings from the 2017 Green Lodging Trends Report. The Green Lodging Trends Report is the lodging industry’s annual exercise to assess and benchmark sustainable best practices across hotels worldwide. Updated annually and with the support of hotel industry partners including the world’s largest green hotel certifications, the Green Lodging Trends Report helps discover innovative hotel efforts that should be recognised and can benefit peers, and shows what’s trending each year. All hotels participate for free and receive a complimentary and confidential compare report to benchmark themselves against their peers in ten categories including indoor air quality, energy management, water conservation, waste management, kitchen & laundry, staff involvement, communication, guest engagement, and community. In the 2017 Report, we cover over 100 sustainable practices related to reducing cost, enhancing guest experiencing and retaining employees. The 2016 Report included data collected from 2,161 hotels located in 44 countries. The 2017 Survey is open through June 15th. We expect the number of participating hotels to grow to about 3,000 for the 2017 Report. ITB Asia features three days of responsible tourism talks featuring wide ranging topics, from empowering rural communities to take leadership to capturing stories on film effectively. 1130 – 1200 Tourism and the Sustainable Development Goals – what is your contribution? The United Nations Sustainable Development Goals (SDGs) present a unique opportunity for the tourism industry to demonstrate its contribution to sustainable growth and a fairer future for all, but few are really using this opportunity to date. ITP (the International Tourism Partnership) believes that the hotel industry can be a force for good and make a positive contribution to the SDGs and to the COP21 climate agreements and is demonstrating that by working together we can drive change further and faster than on our own. Join our discussion to see how you can better quantify your impact and contribution to the SDGs. The latest technologies, mobile applications and innovative holistic approaches can help tourism organisations measure, understand and address unsustainable practices, whilst reducing the negative socio-environmental impact of their operations and generate substantial benefits. We will focus on the lodging industry, exploring tangible solutions to a widely overlooked issue: food waste. With over 150 eco-friendly meetings a year, Marina Bay Sands is developing new ways to engage sustainable guests in a way that is fun, relevant, and cost neutral. This discussion will address the latest trends that sustainable events are looking for, and how to implement them in an attractive and impactful way. The Food Bank Singapore acquires donated food, much of which would otherwise be wasted, from farms, manufacturers, distributors, retail stores, consumers, and other sources, and make it available to those in need through a network of member beneficiaries. The Food Bank Singapore was set up by Nichol and Nicholas Ng, a pair of siblings running a food distribution business, FoodXervices Inc Pte Ltd. After observing the food industry for more than a decade, they realised the need for a food bank in Singapore. Founded in January 2012, we were given charity status in August 2012 (Co.Reg No: 201200654E) and IPC status in May 2015. Our vision is to be the prevailing centralised coordinating organization for all food donations and to play a key role in the reduction of food wastage within the whole supply chain. Founded in 2012, Soap Cycling is the first and largest organisation of its kind in Asia. Established and still actively managed by the University of Hong Kong undergraduate students, we started small—working with 10 hotels and operating out of donated space at HKU. By 2014, we were collecting from over 100 hotels in Hong Kong, Japan, Korea, and Singapore. Because our model is so simple and scalable, we have established sister operations in Shenzhen in 2015 and Singapore in 2017. Soap Cycling is an exciting and fast- growing social startup that aims to improve sanitation and hygiene in developing Asia, save tons of chemical waste from being dumped in landfills, all the while giving local university students an opportunity to develop their social leadership skills. Join one of our NUS interns, Iqbal, as he relates his own journey with Soap Cycling this past summer. Working with hotel giants like Marriott arranging volunteer sessions, liaising with local schools like UWCSEA to pick up soap, and laying the foundation for future success. 1100-1130 What are the leadership demands in achieving financial sustainability in community-based tourism? This presentation examines the role leadership plays in successful community based tourism projects, and explores the type of leadership that is needed to achieve long-term sustainability. Practical examples from Cambodia show that empowerment of local communities is an essential part of this process, but is not necessarily the key tofinancial sustainability for most community-based tourism sites. By exploring the Cambodian experiences, and with the use of proven leadership theories we hope to examine barriers and opportunities for the future development of the sector. If executed properly, a single travel story can be the catalyst for a life-changing journey. Join Andrew as he explains how his background in working for multiple travel organizations and his personal film making experience have allowed him to discover iconic stories and help craft award winning content marketing campaigns for destinations around the world. During this multi-media discussion/presentation, you’ll learn how one story can educate, ignite inspiration and create a call to action in less than five minutes. From this 30-minute presentation followed by 15 minutes of facilitated discussion, you’ll take away a multi-disciplinary set of tools and knowledge to support travel through storytelling and gain a fresh perspective on the influence you have working in the travel industry. 13:30 – 14:00 Telling Responsible Travel Stories in the Mekong Region via digital and social commerce applications. ITB is supporting The Code of Conduct against the Sexual Exploitation of Children (“The Code”). This session shall update tourism professionals on how they can take practical steps to keep children safe, including new joint UNWTO initiatives. For better or worse, tourism-related development has impacts. These short- and long-term impacts occur on many aspects of the society and the environment, sometimes, more often than what meets the eye. Mallika Naguran brings true stories that speak of the potentials and pitfalls of development related to Asia Pacific tourism. She will also suggest novel ways to develop people alongside infrastructure in tourism and travel. In this session, ITB Berlin will give an overview of the latest developments in the Global LGBT Tourism segment including a summarised presentation of the new UNWTO report on LGBT Tourism. The IGLTA Ambassador to Japan will highlight some latest LGBT activities in the Japanese market followed by two case studies which give an insight how to work with the LGBT market. We curate experiences and trips that connect travellers with the outdoors. No matter what their interest is, be it cycling, hiking, running, walking, or an interest in conservation, culture or any genre associated with the outdoors, we will have something to offer. Our purpose is to inspire as many people to step out of their comfort zone, kick-start their own adventure in their own way and slow down their pace to experience the world. At the same time, our desire is also to provide our members with authentic local cultural experiences while minimising the negative social and environmental impacts that travel brings about. We hope to bring economic benefits to the host communities, and preserve the cultural and natural resources of the destinations that we visit, in a sustainable and responsible way. Join us for an exciting explanation on how we make sure our tours fit the stringiest criteria to conserve, protect and empower. • General Information about Nepal. • Crisis Management during Post Earthquake 2015. • Crisis Management during 6 months’ border closure by India. • General information about Nepal as a SOUL SEARCH Tourist Destination for the young and dynamic 21st Generation World Travelers and corporate world. International Trade Centre (ITC), the joint agency of the World Trade Organization (WTO) and the United Nations, is the only development agency that is fully dedicated to increasing the competitiveness of small and medium-sized enterprises (SMEs) in developing and least-developed countries, and connecting them with international markets. ITC’s mission is to foster inclusive and sustainable economic development, and contribute to achieving the UN Sustainable Development Goals (SDGs). Through its flagship initiative, SheTrades, ITC aims to connect one million women entrepreneurs to market by 2020. In this session, ITC will explain how the SheTrades initiative has helped build inclusive and sustainable tourism in the Indian Ocean Rim Association (IORA) countries. Two Indonesian women owned or led SMEs, MALA Eco Tours and Tabo Cottages, facilitated by the SheTrades initiative, will also share their experience on how sustainability practices have helped them make more businesses. The session will show how tourism, women empowerment, sustainability, inclusiveness and international markets are closely linked. Visit ITB Asia for registration and go to individual talk session page for RSVP.